Basketball season is underway! And does your school or team need a boost for the sidelines or the locker room? Athletic Seating has the answer. We offer the Clarin by Hussey Chairs for your team…..and, at the lowest prices you’ll find. Check around and findout for yourself. We get questioned daily about how can we offer the same products other dealers do, for so much lower than the competitors…..the answer, we handle all the graphics and printing in-house, no jobbing out or mark-ups where you’ll end up paying for everyones handling of your Sideline Chair order……without the other dealers even seeing your chairs! At Athletic Seating, we handle the entire process…start to finish of your team’s logo printed the way you want it ,on the top of the line quality Clarin by Hussey Chairs ans Stools. We also carry quality Slip Covers, Storage Carts, and customized Sponsor decoration for the chairs. 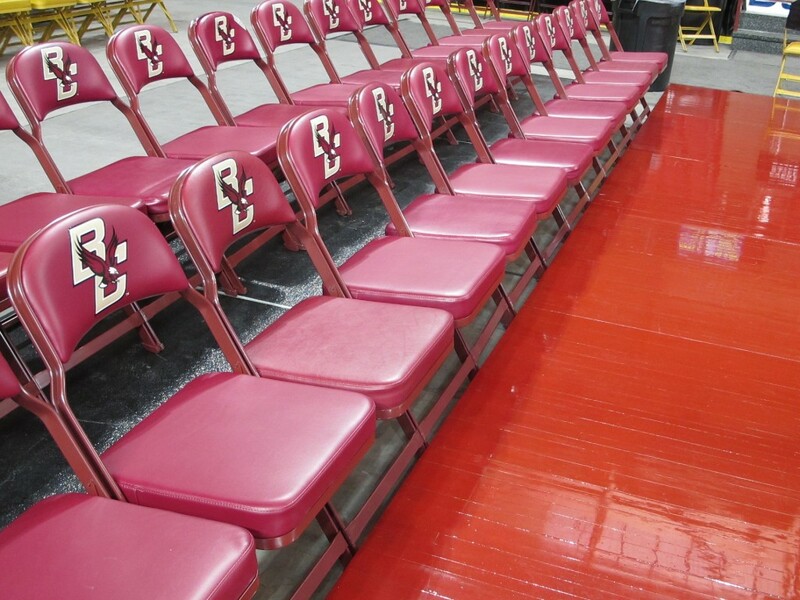 And proofs are always free…send us your logo, and you’ll get a proof to see how it looks on the Sideline Chairs.